If you have an existing Amazon Affiliate site – then right after you read this post you’ll be able implement these techniques and increase Amazon affiliate income on your site(s). If you don’t have an Amazon Affiliate site yet – don’t worry. These ideas will get you pumped to create your own site soon. This post covers 10 specific things you will be able to implement to increase traffic and conversions for your niche website. Let’s get started! This is actually a guest post written by Doug Cunnington from NicheSiteProject.com. Doug has been a long time reader of the blog and I consider him a friend. If you haven’t noticed, I don’t allow just any guest post to be published on this blog. It MUST be high quality and from a trusted source. This post definitely meets both of those criteria. When is the best time to start a niche site? Do you have any examples? The best time to start a niche site was three years ago. The second best time is today. So if you haven’t started yet, you may want to get started as soon as possible. Here are some example sites for inspiration over on my blog. I’ve been working in affiliate and internet marketing for a few years. I built some niche sites, sold some sites, and helped others do the same. I’ve had my ups and downs — and you can learn a lot from my mistakes. I recently sold a “little” niche site for nearly a quarter million dollars. It feels funny to say that because I feel the same, and I’m just a simple guy, like Matt. I mean look at my truck…It’s over a decade old, no power locks, and no power windows. It’s quite a contrast to other marketers that show off their Lamborghini’s, Ferrari’s, and maybe a private jet. The point is I’m a regular person that’s been immersed in the niche site world and I know a thing or two about boosting the income for niche sites. Let’s look at increasing traffic and improving conversions, then give specific examples of each. I’ll show you examples of some of the best affiliate sites in the world and explain how you can learn exactly how they do what they do. If you have twice as many people visiting your site, you should be able to double your revenue. I used each of the five strategies to help bring increase the traffic for one of my niche sites. Check out the traffic from October 2016 to June of 2017. I thought that long tail keywords are keyword phrases with more words in them when I first learned about niche sites. That’s wrong, and a lot of people still explain it that way. It’s actually a term that refers to the graph of keyword distribution if you plot it out. Basically, it means there are a huge number of searches that are super specific and they have low competition, too. 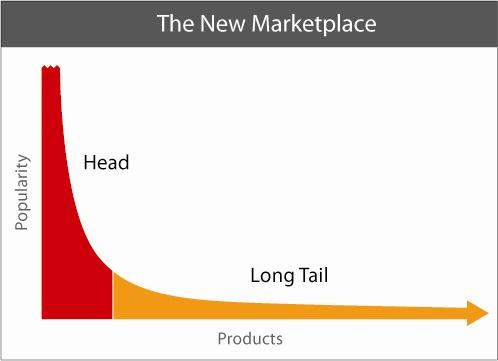 It’s from a book called, The Long Tail, by Chris Andersen. Many people try to use the Keyword Competitiveness (KC) metric in Long Tail Pro, and Matt and I have even debated its accuracy. I don’t think the KC is very good, and the worst part is that a lot of beginners treat it as gospel. At best the KC number can give you a general idea of the competition, but the issue is that it’s based on generalized metrics from other tools like Moz, Majestic, or Ahrefs. *where the Local Monthly Searches are less than 250. You want to find keywords where the KGR is less than 0.25. If you publish new content targeting those keywords, that content will rank in the top 50 or so within a day or so. It sounds impossible, but it really works and many of my readers on Niche Site Project have shared their results with me. Publish more content and target keywords that will actually get traffic fast. Review existing content to see if you can optimize it around a KGR Keyword. Target affiliate based, product reviews so you can publish articles that will convert visitors to buyers. Now, you’re armed with a way to find keywords that people are looking for and that you can rank in Google fast. You don’t even need backlinks! So now you need to publish more of this content. In many cases, you’ll double your traffic if you double your content. It’s simple and so powerful. I used the Keyword Golden Ratio to add about 200 posts to my niche site over several months. 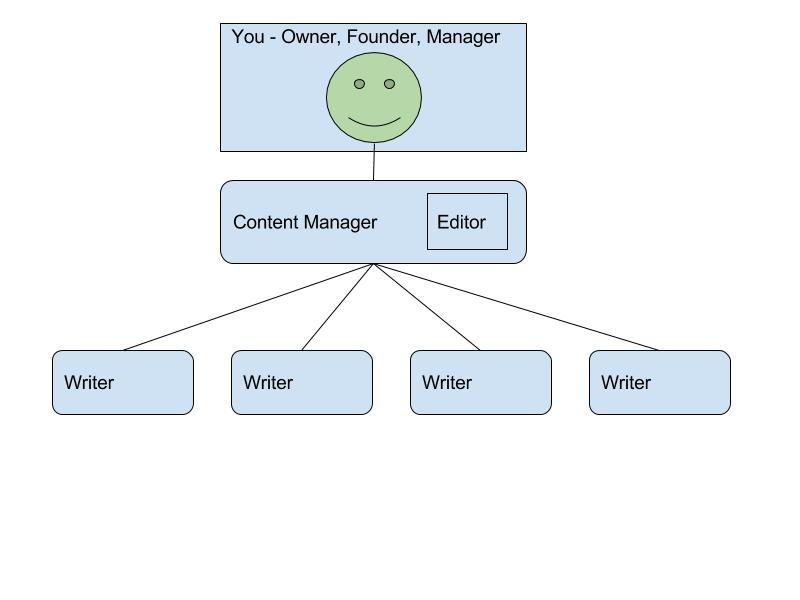 The secret was to use a system and templates — both of which reduce the number of decisions you have to make — and hire a few freelance writers and a content manager to help out. You can build the same kind of team, just start small. I started with one writer and added more as I honed my system. If you try to hire too many people too fast, you’ll likely get frustrated. So patience is key. Grow slow. Set a goal to publish more content that works with your budget or time if you’re writing it yourself. Use the Keyword Golden Ratio to find terms that you can rank for faster and without backlinks. Hire freelancers to help you scale, but hire slowly so you can grow your team effectively. One of the first things we did on Project Go White Hat was to improve the post that got the most traffic. It was ranking #1 in Google already and had anywhere from 1,000 to 2,000 visitors per day. The single product review post was making $10,000 per month. One post. But when I read the review, it was just bad. Uninformed about the product line. I used the RPM technique — The Research Paper Method. You treat the content like a research paper from college. You dig into references, you look at the best material out there, and then write your own interpretation of it. All content can be improved and Amazon Affiliate sites usually have a lot of content that you can make better. Search Google for the main topic of your content. Normally, that’s the keyword phrase you’re targeting for the review or post. Spend 1 – 2 hours reading about the topic. Check out Wikipedia, read the manufacturer’s website, read the top blogs on the topic. Log the resources to reference later. Create a half to 1-page outline. It should be pretty short so don’t try to write the content in the outline. Refer to your references to get an idea about how to organize the information. The manufacturer’s documentation is normally the best resource. The goal is to have an outline that’s good enough so a freelance writer can write the content. Ideally, hire a writer and I use Upwork. If you provide the writer with the outline and references, they’ll be able to save a lot of time and they’ll appreciate the extra details. Regardless of who writes the content, be sure to edit. Find your top 3 to 5 posts, then review them to see if they can be improved. Hint: They can! Use the RPM technique to make the content better using a system. Hire a writer if you can afford it and give them the outline to use. Improving your Google search rankings will always increase your traffic. Getting better rankings is a challenge, but the number one way to help is to get more backlinks. Google sees backlinks as votes for your website so the more you have, the better. It’s deceptively simple, yet hard to implement. They will help you network in the niche. You’ll make a friend in the niche and that’s essential for step 2: Guest Posting. If you have a friend, they are way more likely to allow you to guest post on their site. So once you land the guest post, be sure to add a link to the post that you’re trying to rank. PRO TIP: Tell the blogger that your guest post will be a great place for them to put in their own affiliate link! Most bloggers are bad at monetizing their sites so if you give them a potential money making piece of content, they’ll appreciate it and probably leave your link in. Comment on blogs in your niche and related niches. Ask for guest posts with people that you’ve networked with. Be sure to link to the post that you’re trying to rank. Ever notice how Neil Patel has internal links in every single post on NeilPatel.com and Quickspout? It’s amazing if you go have a look. The classic example of interlinking is Wikipedia. So the best websites in the world have lots of interlinking. 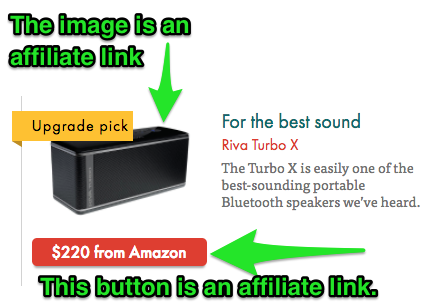 Your Amazon Affiliate site should have internal links, too. I try to have two to five links to other posts on my site for every single post, and each post should have at least two links pointing to it. You’re effectively passing link juice through your site and encouraging people to stay on your site longer. Log all the URLs for your site by using your site map. Move the list of URLs to a spreadsheet so you can keep track of the inbound and outbound links. Update each post to have two to five links to other posts on your site. If you already have lots of visitors on your site, then upping the conversion rate will be the fastest way to increase your revenue. Ever read reviews that say every product is perfect and fail to point out any negatives? I don’t trust those reviews, and most people are skeptical of overly positive reviews. Always have a cons section in your reviews. Check the reviews on Amazon for ideas about issues — there will always be someone complaining about something. Some people don’t want to read a 5,000 word review about a product. Sometimes people just want a curated list of great products, and that’s why you should have a Call-To-Action (CTA) in the first few sentences. Again, check out The Wirecutter’s quick CTA to help people get to Amazon fast. Add a CTA to the first one to four sentences, depending on how aggressive you are. Use a button or text — totally up to you — because neither one is conclusively better. The best way to illustrate complex information in a small space is with a table. Tables are organized and an easy way to compare products. And cameras are complicated with lots of features. Tables are critical to help you compare the various models. Use tables to present technical specs. Use tables to compare models. Check the manufacturer’s site and the Amazon product details page for ideas about what to put in your tables. Note: be sure to comply with and abide by the Amazon Associates Terms of Service agreement. Example: you cannot publish prices on your tables (or anywhere else) unless doing so via the Amazon API so that prices are updated in real time. 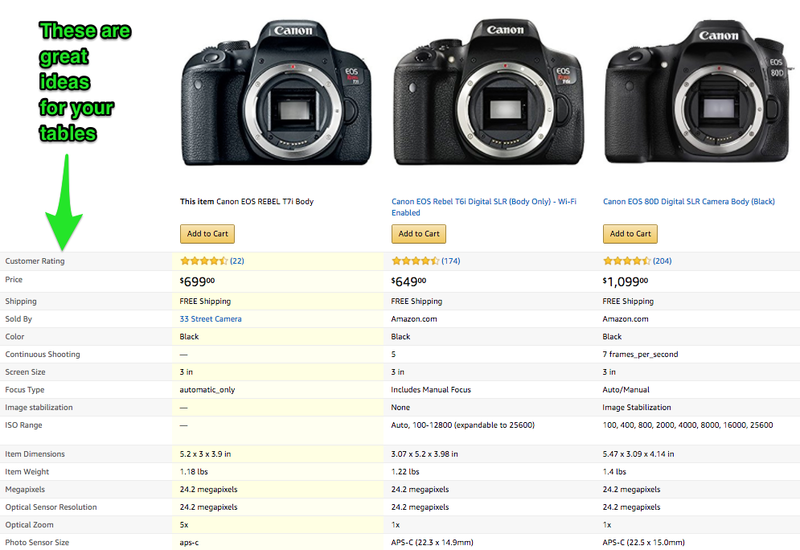 Tip from Matt: Try the Ultimate Azon Theme with built-in functionality for easily creating awesome comparison tables. Text affiliate links tend to convert better than image links on my sites so I use them often. Some people do like to have image links and that’s totally fine — feel free to test. I like to mention that the link will go to Amazon, which The Wirecutter doesn’t do. The visitors appreciate when they know what will happen when they click on a link. I like it when the expectations match the outcome. See the latest pricing for Product XYZ on Amazon. 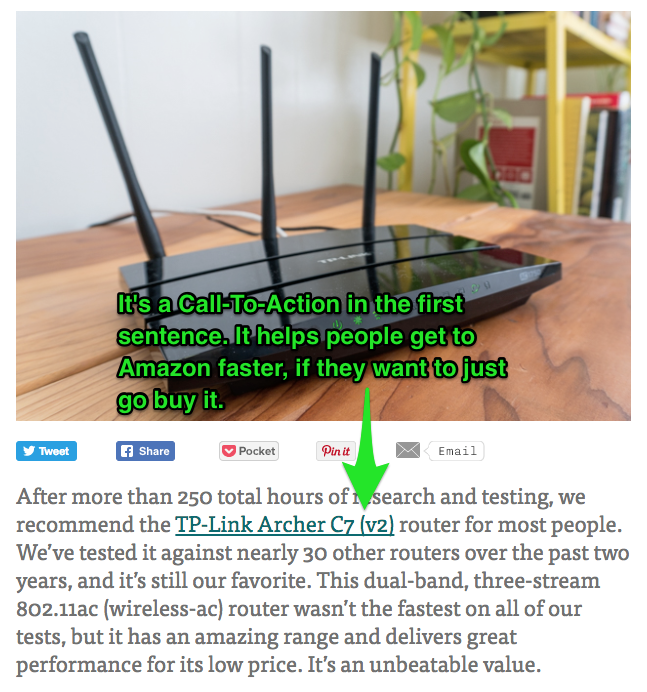 Check out The Wirecutter again and they like the text links, too. 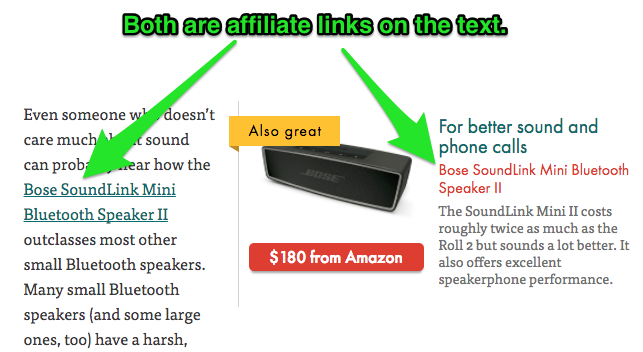 Add a few text affiliate links in your product reviews. Experiment with noting that the link will go to the product page on Amazon. I like text affiliate links, of course, but it’s wise to give your visitors a few ways to get to Amazon. Buttons and images work really well. In fact, let’s check out the same post from The Wirecutter about Bluetooth speakers. Every niche is different, and even sites in the same niche can have different results so the big take away is to use various link types. Don’t assume one CTA is better than another. You can use a plugin if you theme doesn’t have buttons built in, but you can also just generate one from scratch. I like to keep my site FAST so I don’t use many plugins. Tip from Matt: I use the MaxButtons plugin to easily create and place awesome buttons throughout most of my sites. They are 100% customizable with hover-effects, shadowing, etc (like the Ultimate Azon Theme button above and below). I showed you 10 ways that you can increase Amazon affiliate income by either increasing traffic or improving your conversions. Some of them you can implement TODAY, and some will take you weeks or months to complete. And if you have a tip or trick to share.